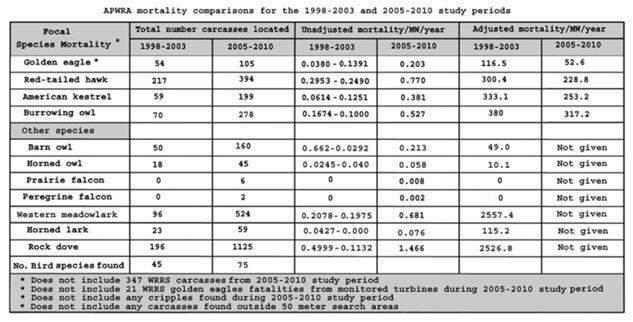 The wind industry is hiding over 90% of the bird and bat mortality caused by their turbines. 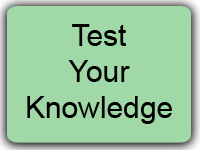 This statement is supported by the industry’s own data and reasonable adjustments for its manipulations. 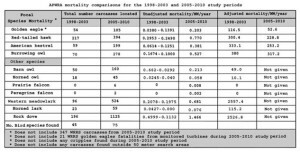 The wind industry is … producing faulty, misleading and even fraudulent documents to hide the serious and growing mortality. 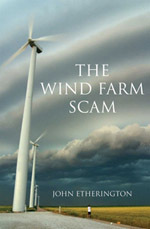 This situation has continued for years but has been shielded by state and federal agencies and other supporters of wind power. This image illustrates one of the ways Altamont Pass has recorded less mortality. 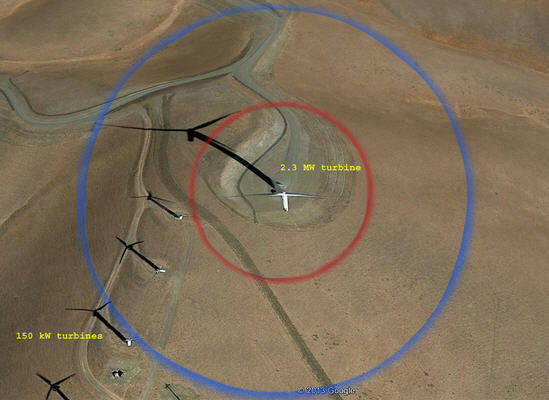 The red circle shows the proportionally undersized search areas used on the largest turbines. The blue circle shows the minimum proper search area for a 2.3 MW wind turbine; that area is 7x larger than what is currently being searched and extends into the kill zones of 3 much smaller KW turbines.